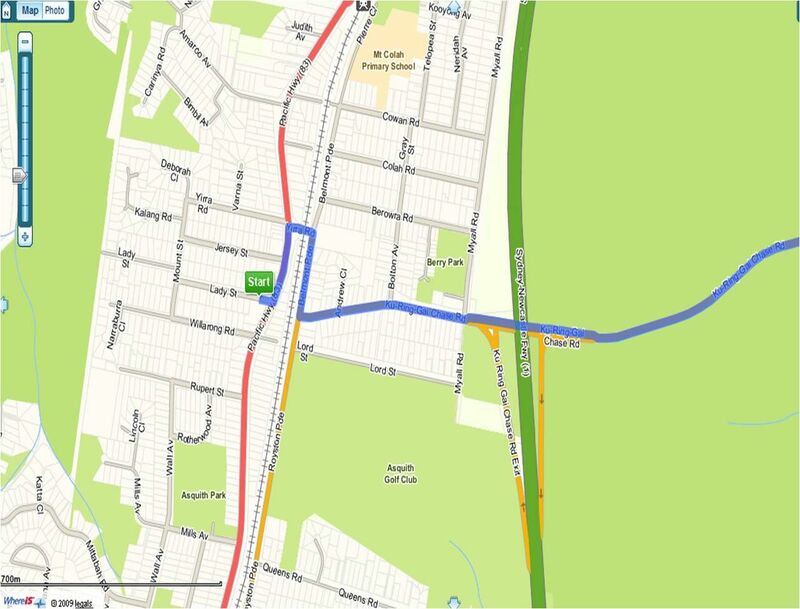 Destination: Warriewood Macca's. 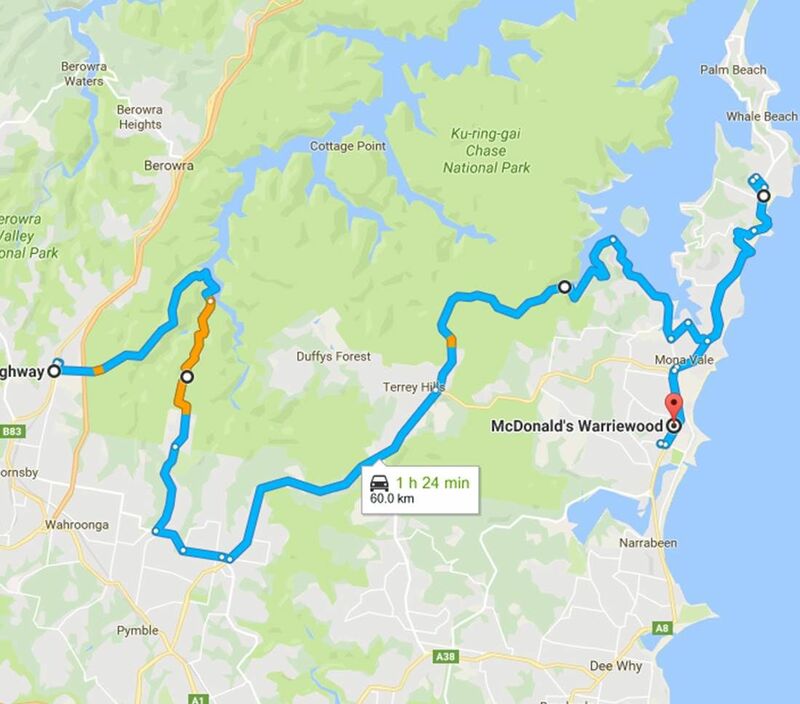 Start at Mt Colah, drive through Ku-Rin-Gai National Park, Mona Vale Road, then McCarr's Creek Road, then Church Point, then back down the road for a shake at Warriewood Macca's before heading home. its members and other members of the community !!!! Sorry can't make it that's the day we get back from our cruise. Say G'Day to Captain Stubing for us all. Joe and I will be there! DUE TO FORECAST STORMS THROUGH NE SYDNEY LATE THIS AFTERNOON / THIS EVENING WE ARE POSTPONING THIS CRUISE AS WEATHER CONDITIONS MAY BECOME DANGEROUS.